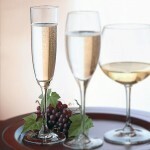 Riedel Vinum Champagne Wine Glasses Set of 2 (P/N 6416/08). 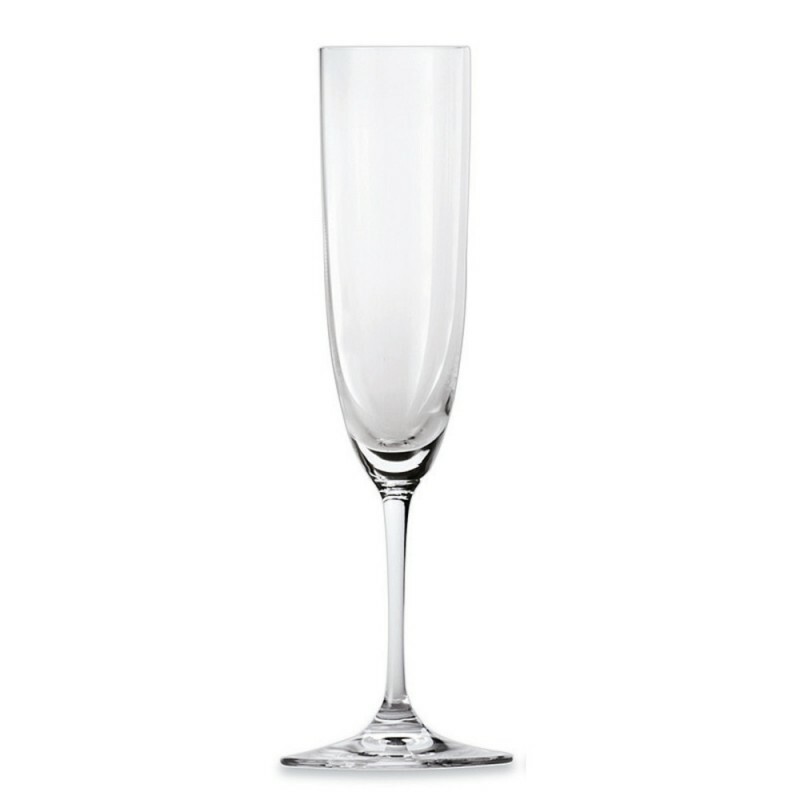 This tall, narrow flute is slightly wider at the mouth to highlight champagne's creamy texture. The elongated bowl increases visual appeal by giving bubbles more room to rise to the top. 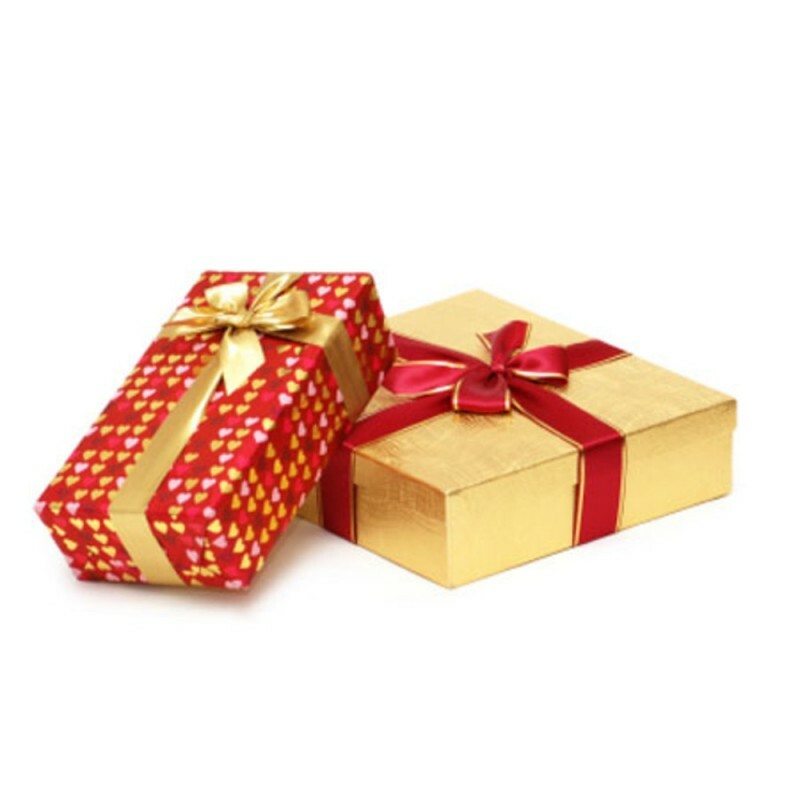 The straight-sided bowl is a classic tradition for special occasions. Recommended for: Sparkling wines such as Sekt, Cuvée Prestige, Vintage Champagne, Vintage Sparkling Wine and Rose Champagne. Riedel lead crystal is optimized at the molecular level to develop wine's aromas. Costs 50% less than the Riedel Sommeliers champagne glass. 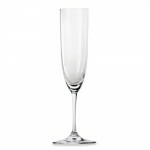 According to customer reviews, the Riedel Vinum champagne glass is more durable than similar flutes. 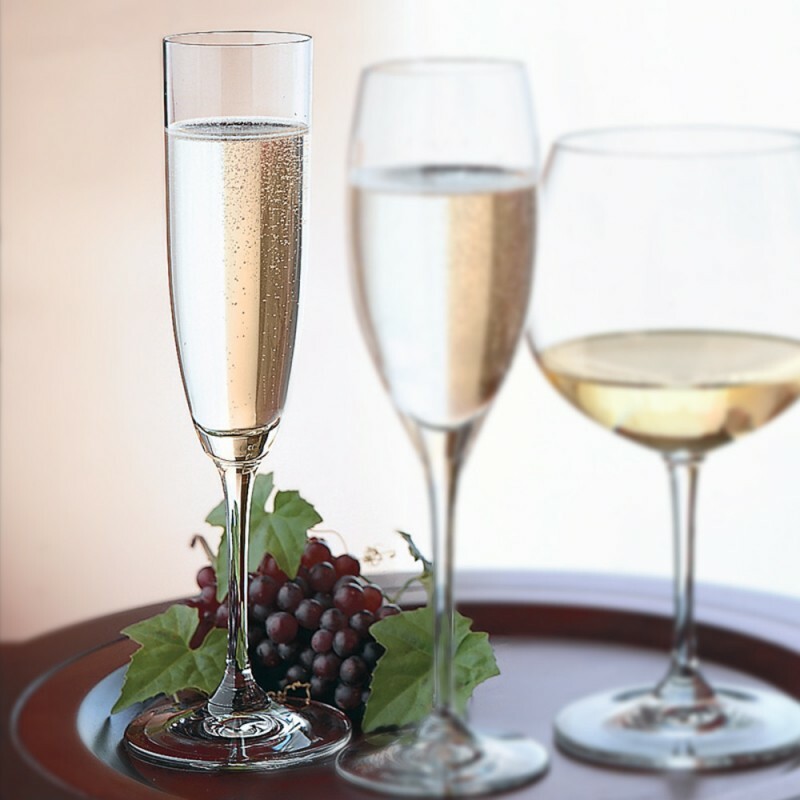 Vinum Champagne glasses are designed based on the characteristics of Champagne's effervescence and its underlying Chardonnay, Pinot Noir, and Pinot Meunier varietals.